This animation makes one thing clear: standards are everywhere, and the hard work put into their development by standards developing organizations and accreditation bodies assures safety into the processes and equipment that they specify and standardize. We’ve discussed in depth different standards that are intended to guarantee the safety of industrial practices, but the approach for viewing standards in this video is different yet of the same essence. Through standardization, users of products during their leisure time can relax by not having to worry about their reliability. This is something that might not be present in the minds of many people, since it’s easy to take for granted the heightened sense of safety and security that we are blessed with in the Modern world. You may not realize that the reason why you can safely place your child into a baby carriage or stroller isn’t from any inherent safety in such products, but because voluntary consensus standardization efforts were able to eliminate problems with their fabrication. And, to those who are not aware of this fact, it might seem like standards aren’t applicable to certain products, and they can be produced without shared guidance. However, all of the topics touched upon in the ASTM video once lacked official standardization, and the result was often tragic. For example, bike helmets are seen as integral safety precautions for anyone riding a bicycle or participating in a similar activity, such as roller-skating. However, the modern bike helmet didn’t exist until 1975. Bicycles, on the other hand, have been around since the mid-Nineteenth Century. So, for over 100 years, if a bicycle rider fell and hit his or her head, the best-case scenario was some head pain. Alternatively, this could also lead to severe concussions and even death. 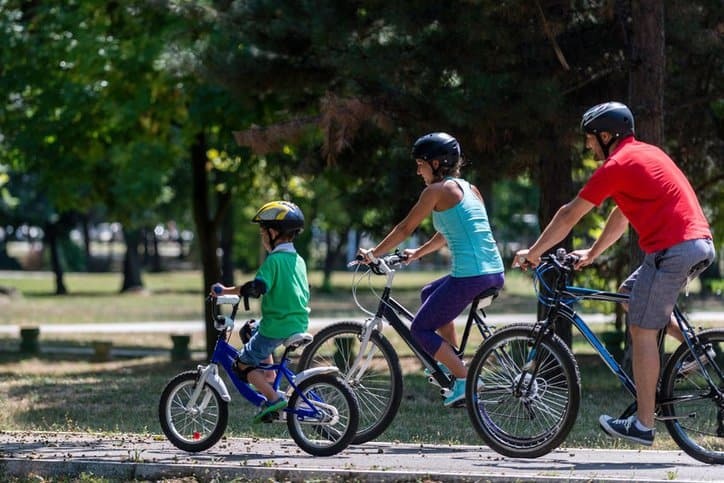 However, the initial introduction of the bicycle helmet didn’t instantly make biking safe; the original helmet by Bell Auto parts in 1975 consisted of a hard plastic shell with some foam-like material. These helmets improved about 10 years later, once standards for helmets were introduced. This helped eliminate ineffective helmets from the markets, further securing the effectiveness of those designed in adherence to the standard guidelines. Due to this, helmets can successfully reduce the odds of head injury by 50 percent. Similar narratives exist for the other products identified in the video. Standards are the backbone of today’s world. Next time you’re riding a bike, riding on a roller coaster, or even just watching your child play with some toys, remember that the sense of security you feel didn’t just come on its own.